Most leadership experts would agree that we are at our most effective when we can provide for the growth of more leaders. Our first goal is typically to achieve a specific objective; however, one of our most important and often overlooked goals is to improve our teams and hopefully grow a few leaders along the way. In that case we should strive to be the lighthouse that provides a direction for our team's growth and guidance so that they can progress safely. What are you doing to grow your team? Are you providing them with the opportunity for education? Are you taking the time to explain the decision you've made or why you chose the path you are heading down? This works to educate, but it also builds trust. 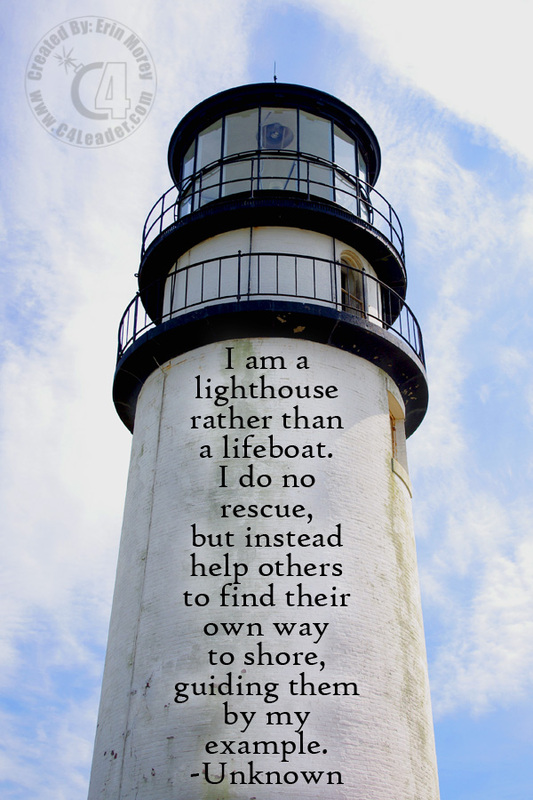 What more could you be doing to provide the light to help them get to shore?